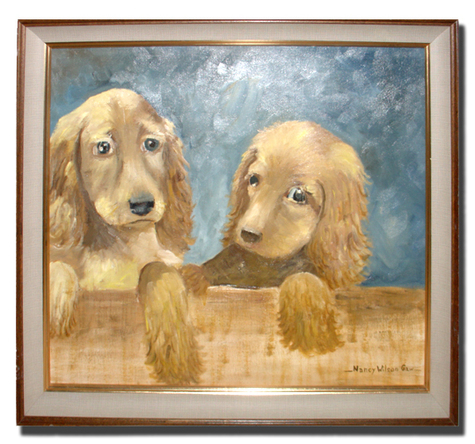 Another dog painting of two golden retrievers! It's getting harder and harder to find naive art at my thrift stores. When I do get lucky and find something as interesting as this painting, the price is too high and it makes me mad because I know that I am the only person who would have bought this painting for six dollars and ninety nine cents! But buy it, I did. Because I was obliged to show it to y'all.